The wonderful Holland. My friends and I planned a trip to Amsterdam at the beginning of December to celebrate one of their birthdays. We had an amazing time whilst travelling, as usual creating new memories. We sung our lungs out, we laughed until we felt six packs and we drank like we were at a freshers event. Heres my guide to Amsterdam. This was my third trip to Holland, and we decided to drive. The journey there took roughly 7 hours (London-Dover-Calais-Belgium-Amsterdam). I took my car which is a 1.6 engine and it cost about £60 each way. This was cheaper than flying as we planned last minute, and we decided to make a road trip out of it. This was my first time driving abroad, it took a little getting used to on the opposite side of the road but it wasn’t as bad as I imagined. The drive back was much quicker, it took only three hours from Amsterdam back to Calais docks, compared to five hours on the way in. Driving is a great way to stop off and see other parts of Europe, however if you have a weekend away and want to spend the maximum time there, then flying is your answer. London Gatwick to Amsterdam takes 1 hour 20 mins, and can cost anything from £30 return to £300 depending on the demand. (bare in mind the journey to the airport and the 2 hour before departure wait). The first night we stayed on the MS Vertigo hotel boat. It was umm… different. My friend had made a reservation after reading multiple good reviews online and seeing photos of the outside of the boat. The service was amazing and the location was perfect. 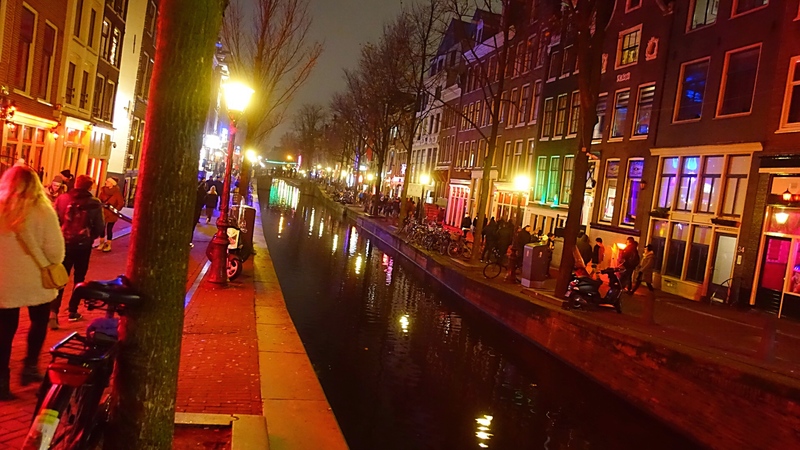 It was a 5 minute walk from the centre and a 10 minute walk from the red light district. Our room slept four people and we were a group of three so we had a spare bed to put our luggage on. You open the door there is a bunk bed on the left, and a bunk bed on the right. In between the beds was a small sink with a small mirror above it… and that was it. I had to get dressed, style hair and do my makeup all on the top bunk as there was no floor space at all. Our reactions were obviously priceless, so we dropped our bags and headed out right away. Breakfast was provided until 10am, which we missed but the reviews online were positive. The price of the boat was £75 per person per night. If you are looking for affordable, good location and a place to lay your head then this place is for you. If you prefer something more luxury such as your own bathroom and loo, then definitely give it a miss. The following night we booked into the Raddisson blu hotel. It was for sure more pricey, but again, you get what you pay for. A large king size bed, fresh crisp sheets, room service, mini bar, beautiful shower, flat screen, welcoming concierge and lounge area. This was more like it. The location couldn’t have been better. 4 stars and worth the extra pennies. 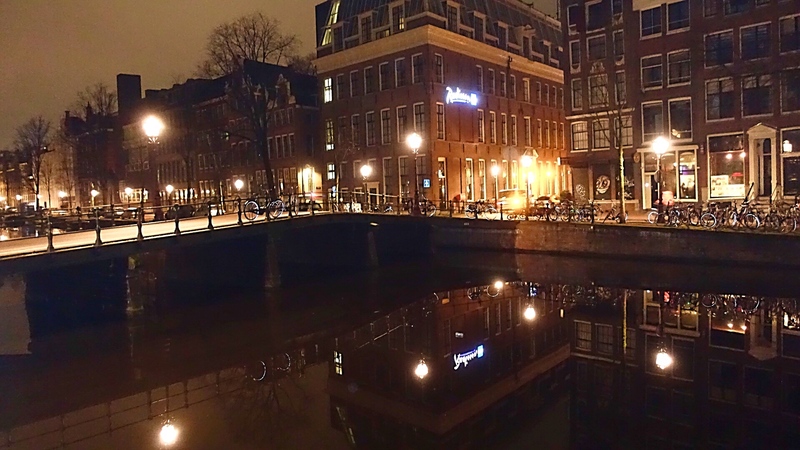 There’s so much to do in Amsterdam! Some people like to visit the museums, have a bike tour, hop on a boat tour, or even see a live s*x show. However, I am going to explain the fun things to do through my eyes. If you can ride a bike, it is definitely worth hiring one as it the best form of transport around main Amsterdam other than foot. (Leave your car in the car park, and avoid taxi’s as the one way system is ridiculous and expensive). There are many museums to visit such as the Ann Frank’s which is very popular. You could have the Heineken experience and find out about all of the history of the beer and have a tasting. Enjoy a tasty waffle, or dig in to a juicy steak at one of the many Argentinian steak houses. Browse through the China town if you fancy some Chinese (not sure if it is actually called China town but it should be). Enjoy an infamous Amsterdam *cigarette* in a chilled out coffee shop (Bull dog seems to be very popular and there is a whole road of them which offer a range of vibes – chilled out or lively music). You can only smoke in a coffee shop which close by 8pm, and most of them don’t allow you to smoke actual cigarettes. Another cool activity to put on your agenda is the electric swing. A’dam lookout costs around 12.50 euros for adults and 6.50 for children. From here you can observe the panoramic view of Amsterdam and literally swing over the edge on Europe’s highest electric swing (which is an additional 5 euros). It’s open every day from 10.30-21.00 and also has a rotating bar and restaurant at the very top. Take a wonder through the red light district, although I must warn you it’s not a great location to hang around especially for females. I kept on imagining a scene from the movie Taken and felt deeply sorry for the woman displayed in the windows. (but that’s just me). My favourite restaurant whilst being there was Momo. 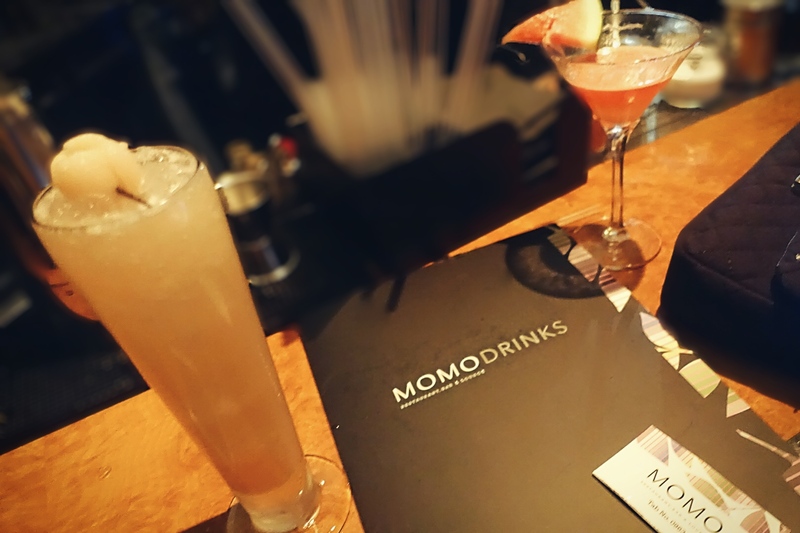 The high end Asian-fusion food was incredible and the cocktails were a treat. I would definitely recommend you treat yourself and try it out as some of the restaurants can be very hit or miss. I didn’t try the sushi (it looked good) but everything I did try was 10/10! 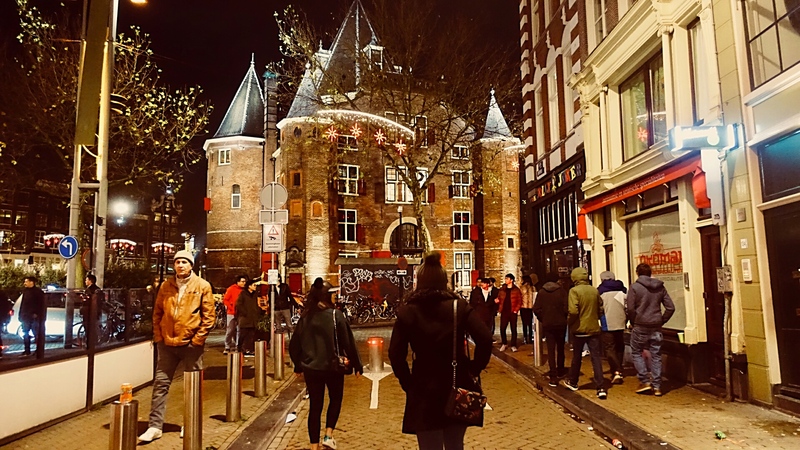 Amsterdam is very lively and you will always find a party there. Whether its a boozy hen night, or a dance filled rave, you will not get bored of the nightlife. Quote of the day: Service to others is the rent you pay for your room here on Earth.